Can you even have a Super Bowl party if you don’t have Super Bowl betting games? The short answer is no. The longer answer is definitely not. If you are struggling to come up with ideas, The Action Network is here to help. I’ve been playing Super Bowl party betting games for years, and I’d like to share some of my favorites. Before we get to the list, remember: Communication is key. Make sure to inform your guests in advance about what betting games you will offer (and the stakes) at your party, so that they will arrive prepared. Nobody wants to spot anybody cash for these activities. 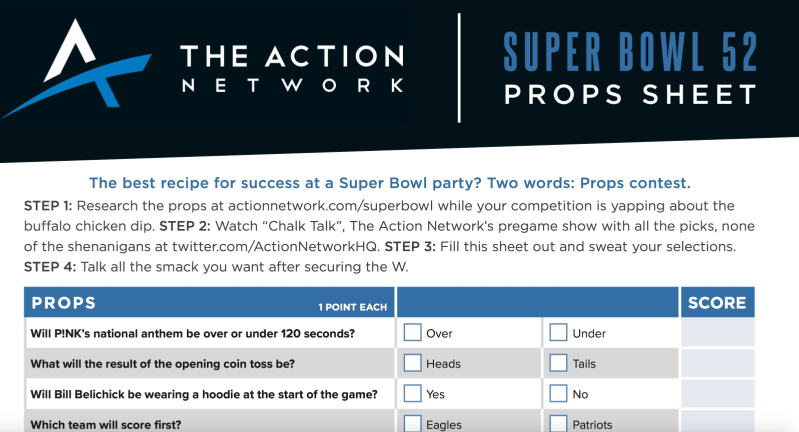 This is the most famous Super Bowl betting game, and it’s one most of you have probably played at a party. If you haven’t, you just need a poster board, a magic marker, a ruler, and basic math skills. Pro Tip: Buy two poster boards just in case you struggle in that last department. I’ve seen some botched boards in my day. Also, someone will inevitably write their name in too many squares. More on that to come. Once you have those four things, draw 11 equal squares across the top of the board and 10 more down the left side (eleven including the already completed square in the left corner). 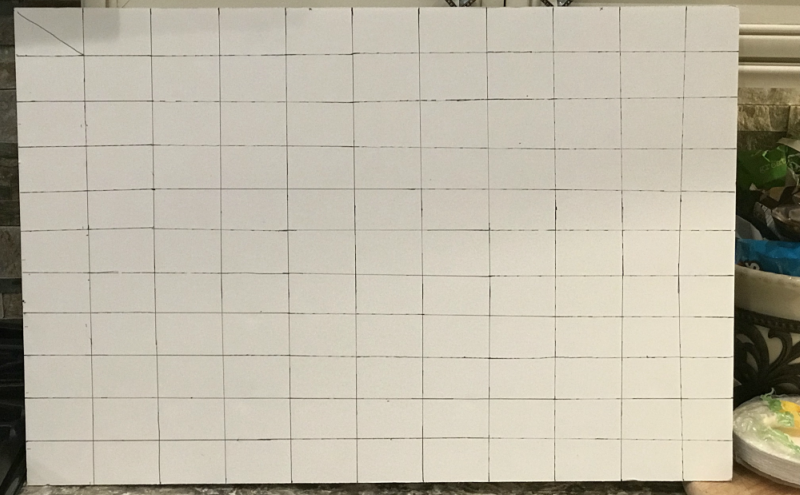 Next, draw a 10X10 grid of squares inside of the row and column of squares you just created. Now, divide 100 by the number of participants to determine how many squares each person gets. Once you have that number, each participant will write their name in that amount of random squares. Pro Tip: Make sure you wait as long as possible to ensure everyone who wants in can play. If you can’t divide 100 equally, create a house square and make up your own rule for those squares. We like to carry it over if those numbers hit before the end of the game, and give it to the party host if they hit at the end. You can also offer to sell those additional squares to increase the pot. In the example below, 10 people bought into the pool, which means each writes their name in 10 random boxes. After you have all of the names filled in, put the numbers 0 through 9 on small pieces of paper into a hat. Have someone pick them out one by one. Write those numbers as they are picked across the top squares in order. Repeat for the squares down the left side of the board. Finally, split the first square in the top left corner with each team’s name. The rules of the game are simple. 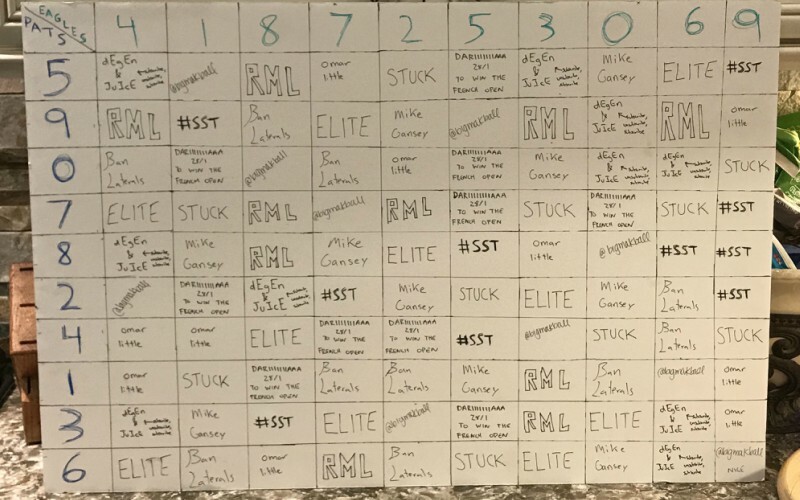 If the Patriots win the game 24-20, STUCK would win the pot, since his name is in the square that coincides with the Patriots (4) down the side and the Eagles (0) on top. You can choose to split the pot by quarter, half or just do winner takes all at the end. I hope you avoid the 9! How many times will Trump tweet? Also, mix it up with entertainment and sports if you have a bigger crowd. Or if you don’t want to go through the trouble of creating your own prop pool, then just use our printable sheet. Pro Tip: I have found using 20-25 questions with varying point values works best. Picking the MVP deserves a higher reward than guessing heads or tails, but it’s up to you. Everyone puts in a certain dollar amount in a cup. Create an order to determine how the cup will be passed. Draw a name to determine who starts with the cup. The cup passes to the next person on the list every possession change. The last one holding the cup takes the pot. We like to divide this up into quarters to increase the excitement. The person holding the cup at the end of the first and third quarter takes a small amount out. The person at the end of each half gets a bigger payout. Divide it up however you see fit, but be prepared for the late half, meaningless Hail Mary interception cup switch. Pro Tip: You can also use a football instead of a cup. However, watch out for your token drunk friend who is losing all of his bets. If you want to make the game even more interesting, you can add a rule that every player must hold on to the cup (or ball) at all times when in possession. If someone gets caught putting it down, the cup changes hands. Finally, if someone passes out (or “falls asleep”) while holding the cup, make them watch the rest of the game outside through a window. For those who still need more party action, you can also do an MVP draw. Just write down all of the best players’ names on little pieces of paper, put them in a hat, and draw. The person who draws the MVP wins the pot, which keeps the game interesting even in the event of a blowout. Pro Tip: Have everyone draw 2-3 names. You never know when a Dexter Jackson might surprisingly win MVP. Having said that, I hope you pick Tom Brady, the only player in NFL history to win four Super Bowl MVPs. Overall, quarterbacks have won the award in 28 (55%) of 51 Super Bowls. But don’t lose hope if you pick a non-quarterback. A Dallas linebacker won in a losing effort in Super Bowl 5. And if things play out like they did in 1978 when two Cowboys defensive lineman won it in the only Super Bowl to have co-MVPs, then I guess everyone gets their money back. Although, I’d think of a more creative way to decide a winner, such as beer pong or poker. You will need to keep the action going during the never-ending halftime show. 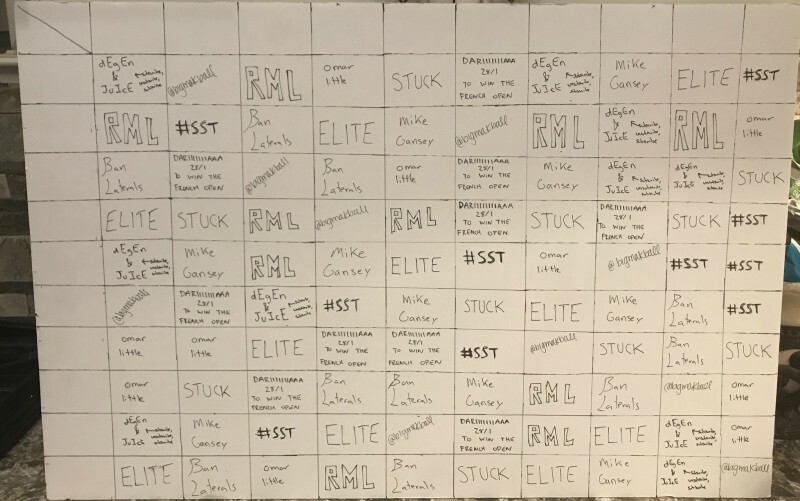 After making your play on any second half action, break out the LCR dice. If you have never played before, then go buy a set from the store or order here. Just make sure you tell everyone in advance to bring plenty of dollar bills. Pro Tip: Get extra dollar bills. Multiple people will inevitably not bring them, so be prepared to change people out. The extended halftime show will be over before you even know it. A Super Bowl party is not complete without great food. Whether you smoke some pork overnight in your Green Egg or order the best sandwiches in town, you need good grub. 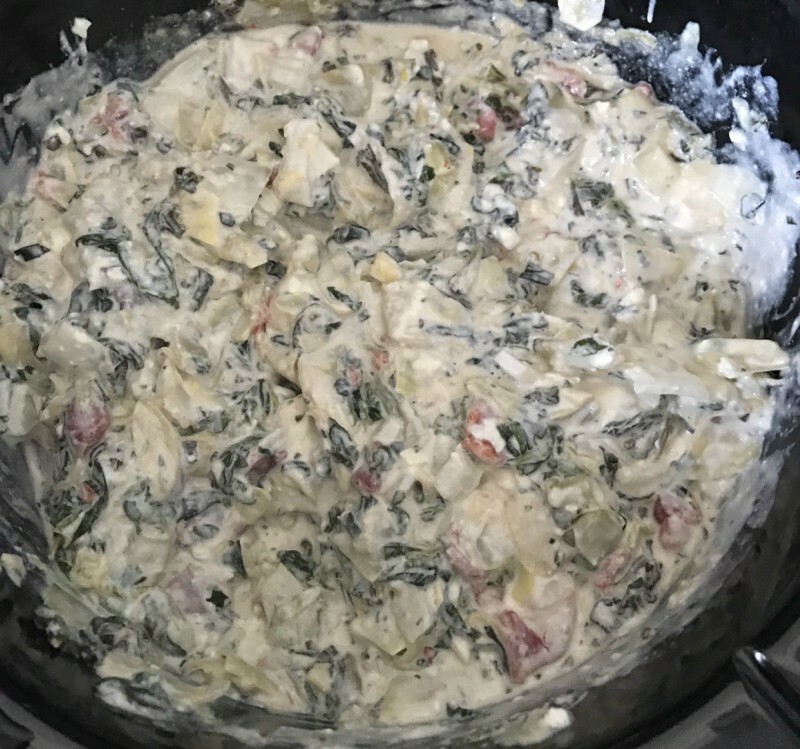 Here is a simple spinach and artichoke dip recipe that everyone always loves. If I can do it, then that means you can too. All you need is some fresh ingredients and a crock-pot. Trust me on how good it is.